The debate around eating sugar during cancer treatment is heating up again. Researchers from Weill Cornell Medicine say they’ve found that high fructose corn syrup caused tumors to grow in mice. The researchers looked at mice that have a genetic predisposition to cancer of the intestines. Interesting for sure, but we are talking about mice here. For cancer patients who are really sick, keeping weight on might be more important than concern about sugar intake, according to Dr. Jeffrey Oxnard, oncologist at the Dana Farber Cancer Institute who treats lung cancer patients. The mice in the study showed a substantial increase in the size and and aggressiveness of their tumors, and the study separated out mice that were obese or had generally unhealthy characteristics such as high-blood pressure. Still, there are conflicting opinions about whether sugar fuels the growth of cancer. On the other hand, Dr. Oxnard disagrees. “Don’t lose weight (during treatment). There’s no healthy diet in the lung cancer world, aside from calories. Okay? There may be a healthy diet that helps you not get cancer, but when you’ve got lung cancer you can’t lose weight. You can’t waste away. The cancer is taking your calories,” says Dr. Jeffrey Oxnard. Still the effects of sugar intake can vary from cancer to cancer, and to other doctors, and the debate is still inconclusive. 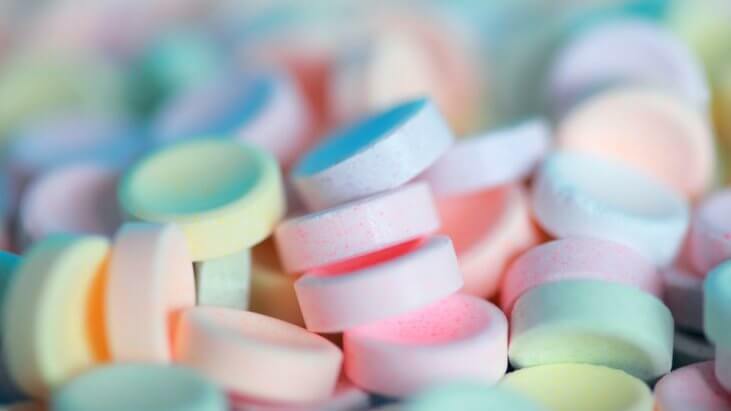 To some doctors, sugar consumption during cancer treatment is very troublesome. “Simple sugars are not good. And there’s really no nutritional value in those simple sugars. They taste good, we enjoy them, but there’s really no nutrient value in them. And when you eat sugar, simple sugar, what happens is your insulin levels go up, and insulin is a growth factor for prostate cancer,” says Dr. Stephen Freedland, Director of the Center for Integrated Research in Cancer and Lifestyle at Cedars-Sinai Medical Center.